Small island 1 hr by the ferry from the Split. 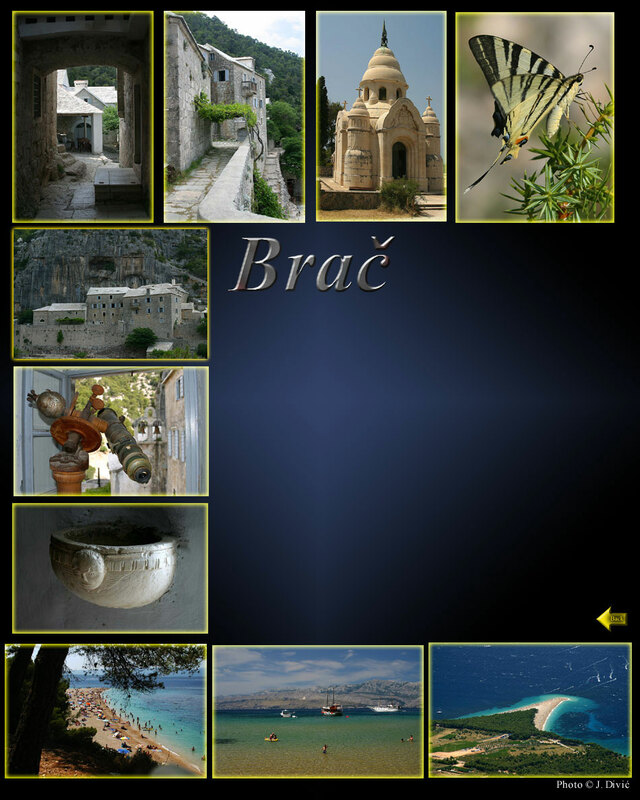 Famous because of Brač’s marble. Make sure to visit the most beautiful Croatian beach “Golden cape”. I would highly recommend visit to monastery Blaca, secluded place built under the cliffs in 1555 by Croatian Glagolite priests who fled advancing Turks. Once upon the time it was renowned observatory, where Father Nikola Miličević discovered two stars, one of which he named Croatia.